We are looking for an enthusiastic, energetic, cutting edge art director / senior designer who will take our creative to a new level. We are looking for a leader who has experience with ideation and the pitch process, along with creating presentations, assets for social, illustrations, motion graphics, etc. with a strong passion for the cannabis industry and related products. Among your responsibilities will be concepting and ideation, pitch decks, social assets, and helping oversee the creative execution of our campaigns.The ideal candidate must have a fast turnaround on projects and be able to excel under tight deadlines. This is a great opportunity to work with an innovative, growing company. We are looking for a passionate, energetic, relentlessly curious and proactive creative thinker to fulfill the position of Copywriter. The ideal candidate will have a strong desire to create something outside of the traditional agency mold, which will help take our work to the next level. Firm deadlines, quick turnaround times, and fluctuating workloads are common for this position; the Copywriter will have ability to thrive in this dynamic atmosphere and will be able to handle these challenges with confidence and grace. Flower Shop is seeking a results-driven and self-motivated Publicist to work daily with clients and media outlets in conjunction with specialized internal teams. As a member of the Public Relations team, the successful candidate will be instrumental in executing the agency’s media relations strategy, new business outreach and corporate communication.  In addition, Flower Shop is looking for a candidate who is passionate and knowledgeable about trends in the lifestyle, social publicity, multicultural marketing and digital space as it pertains to the cannabis industry. An ideal candidate has a proven track record and is eager to share their experience – including how to execute an informed strategy, and can use their knowledge to be a leader, mentor, creative, and immeasurably valuable member of the Flower Shop team. As the Account Manager it is essential to help lead and inspire your team to deliver thoughtful, top-quality, work that exceeds our clients’ expectations. With an expansive understanding of the digital landscape, your supportive guidance will shape and motivate those around you to do their best work and expand their understanding of how to execute best-in-class digital campaigns in partnership with our clients. An ideal candidate has a proven track record and is eager to share their experience – including how to execute an informed strategy, and can use their knowledge to be a leader, mentor, creative, and immeasurably valuable member of the Flower Shop team. We seek to hire a Chief Digital Strategist to define our digital marketing for a variety of clients and manage the team from concept to execution. This position requires a deep understanding of, and passion for, social media, influencer marketing, digital advertising and the entire digital ecosystem. Experience managing many multi-faceted projects simultaneously is essential.